Single Remarques will have a small pencil drawing at the bottom of the print on either the left, right or in the middle. 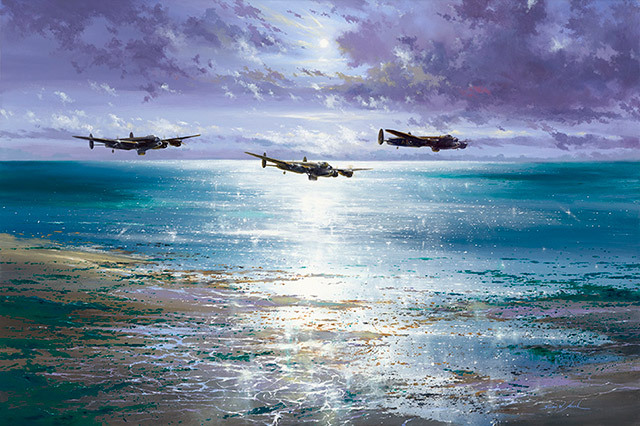 Leaving the serene calm of the moonlit crossing of the North Sea shimmering behind them, the three Lancasters of Gibson, Martin and Hopgood now meet the glistening foreshore of the Dutch coast. Gibson’s single command over his Lancaster’s crew intercom is simple and to the point. The air gunners in their turrets are alert to any early glimpse of a German night fighter’s silhouette in the moonlit sky, or mobile flak battery in the fields and on the roads clearly visible below. The three Lancasters are now fanning out to line-abreast formation; making themselves as small a target as possible for whatever the enemy’s defences have waiting for them. This is the moment when the navigator’s role in ‘Operation Chastise’ really comes into its own; keeping his skipper, crewmates and their all-up 63,000lb Lancaster and ‘Upkeep’ bomb so precisely on course at such low altitude. The navigator’s warning of ground obstacles, electricity pylons and chimneys and the referencing of map and ground features is constant, not allowing a degree of drift off-course that would bring them into sudden contact with the enemy’s flak and ground defences. The 2nd and 3rd wave of six Lancasters led by Sqn Ldr. HM. 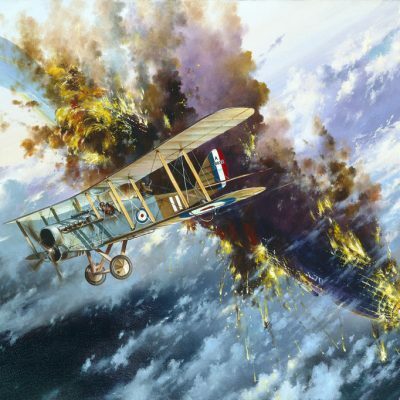 “Dinghy” Young and Sqn Ldr Henry Maudsley are now closing to within sight of the enemy coast. 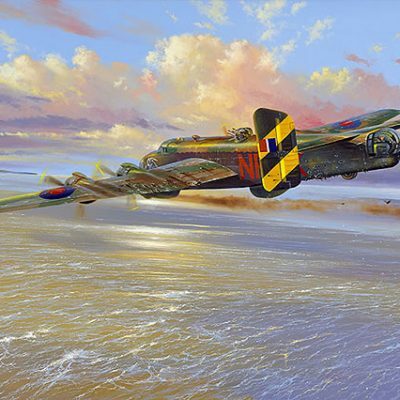 The five Lancasters of 617 Squadron’s diversionary force heading for the Sorpe Dam will meet their own fates after crossing the coast. But for now, it is the moment of absolute no-turning-back for the three Lancasters of Gibson’s wave.